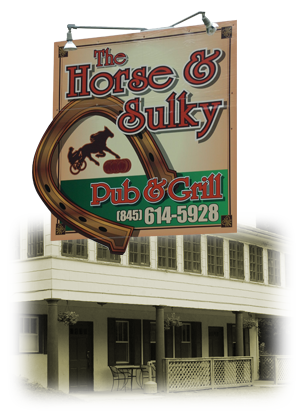 Welcome to the Horse & Sulky Pub and Grill, one of the finest casual eateries in the Hudson Valley. David Dewhirst (chef/co-owner) takes great pride in the transformation of this historic landmark in beautiful Orange County. David's education from Johnson & Wales coupled with over 15 years of New York City restaurant exposure, has contributed greatly in developing a casual menu with reasonable prices for all to enjoy! All menu items are brought from the finest markets around and prepared fresh daily.